Discover RE.THINK events are uniquely designed to help people engage with what's going on here at RE.THINK Church. One of the most important responsibilities we have as a church is to help individuals take their next step in their maturing relationship with Jesus. Discover RE.THINK events helps individuals understand how to engage with what's going on around here at RE.THINK. 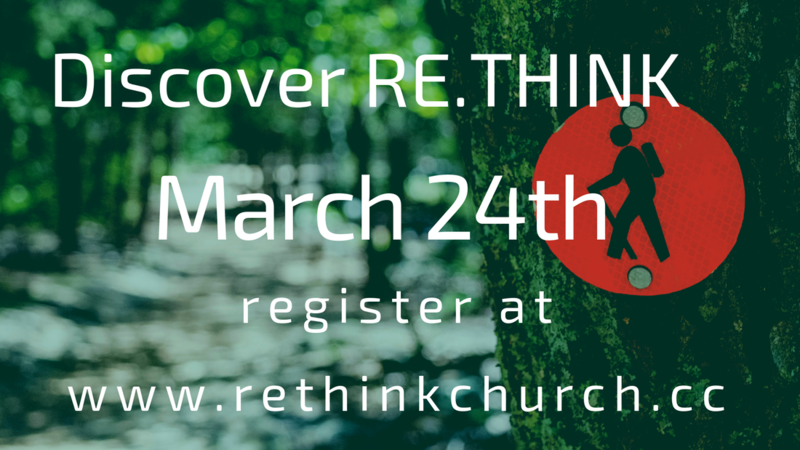 ​Our next offering of Discover RE.THINK will be on March 24th.